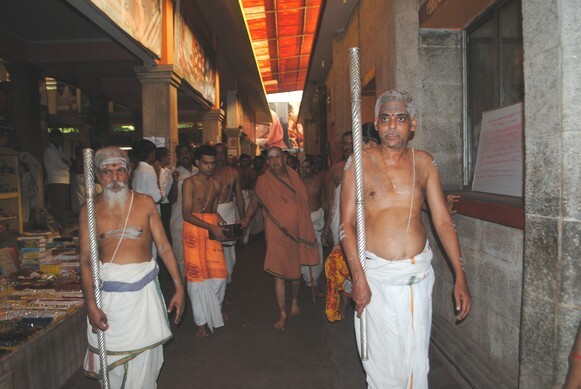 Their Holinesses Pujyashri Jayendra Saraswathi Shankaracharya Swamiji and Pujyashri Sankara Vijayendra Saraswathi Shankaracharya Swamiji performed Viswaroopa Yatra on Thursday - 19th Sep. 2013. 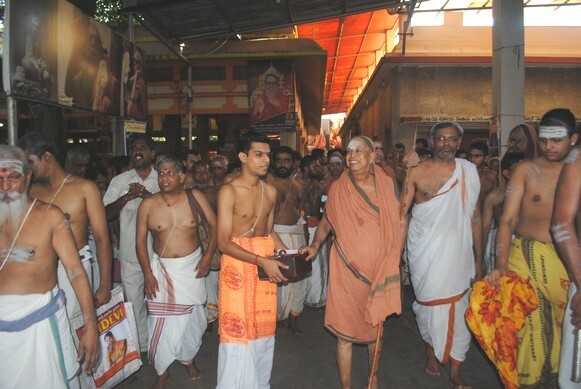 Devotees, patashala teachers and students gathered in large numbers at Shrimatam on the occasion. 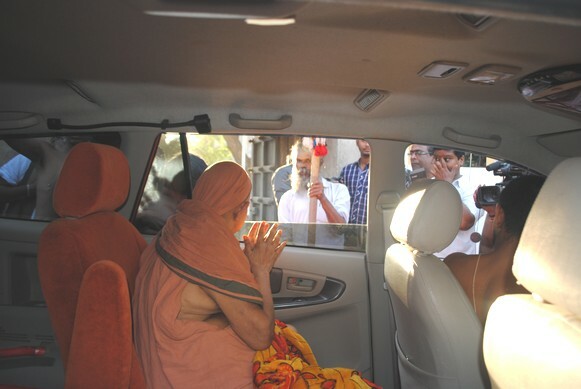 They received the Blessings of His Holiness in the form of Anugraha Bhashanam before the commencement of the Yatra. 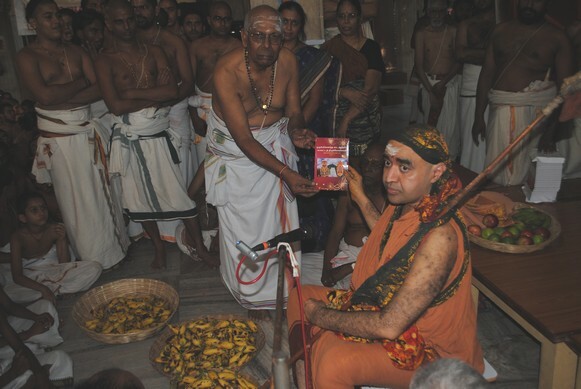 A book in Tamil on "Temples in the Unified Arcot District" was released by His Holiness. 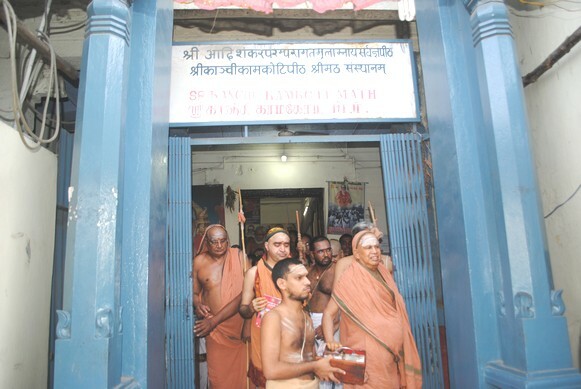 As is customary, the Vigraha murthi of Shri Adi Shankaracharya was brought in procession from Shri Kamakshi Ambal temple to Shrimatam and harati was performed to Shri Shankara in the presence of Their Holinesses. 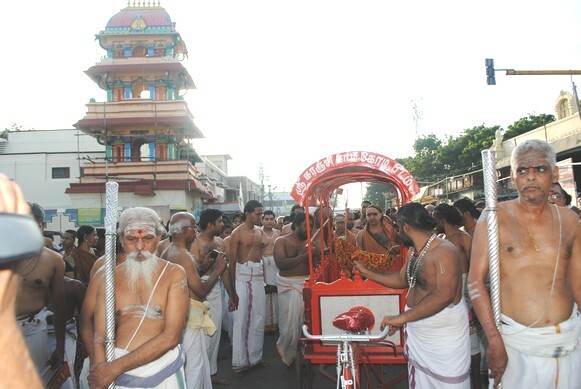 At around 5.00 pm, Yatra daanam was performed in the Nitya Puja Mandapam at Shrimatham and the yatra commenced. 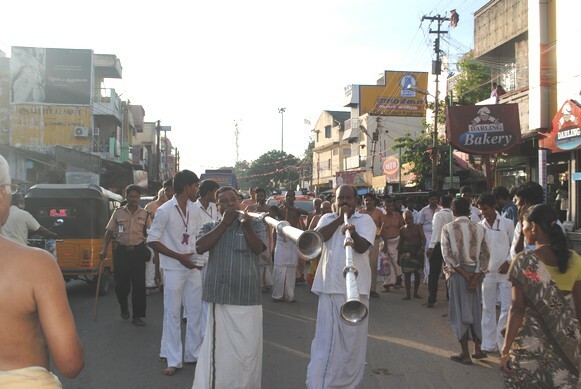 Their Holinesses proceeded on the Vishvaroopa Yatra in a procession. 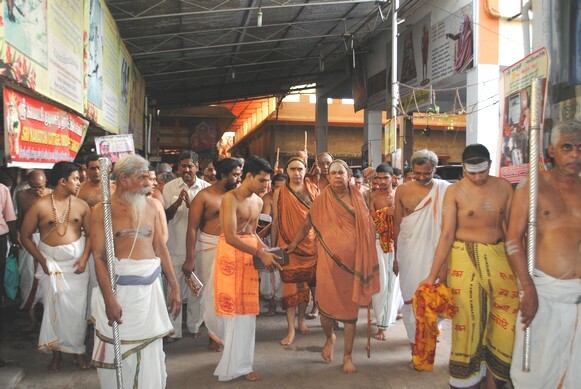 A large number of vedic scholars and students chanted vedic mantras and the Vishnu Sahasranamam. 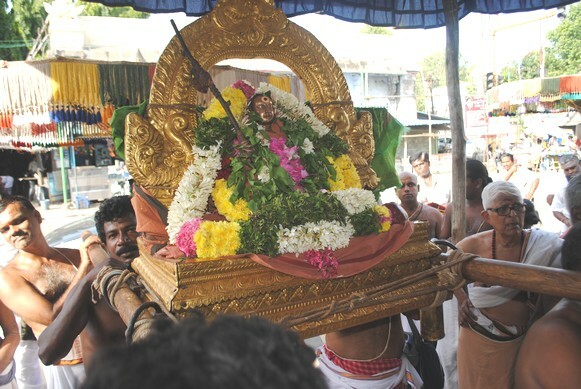 The the gowrikalai and mangala vadyam, considered auspicious, accompanied the procession which was led by the Shrimatam Elephants. 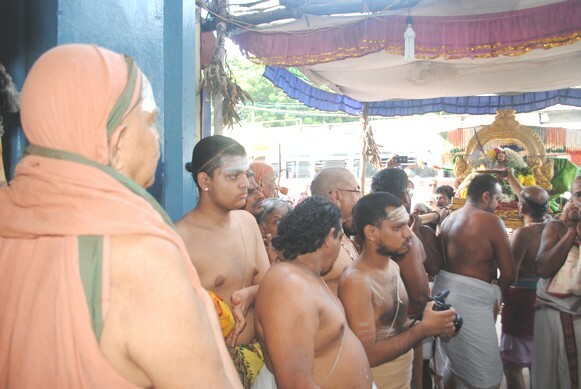 Temple prasadams from the Pachaivannar Perumal Temple and the Mrityunjayeswarar Temple enroute were offered to Their Holinesses. 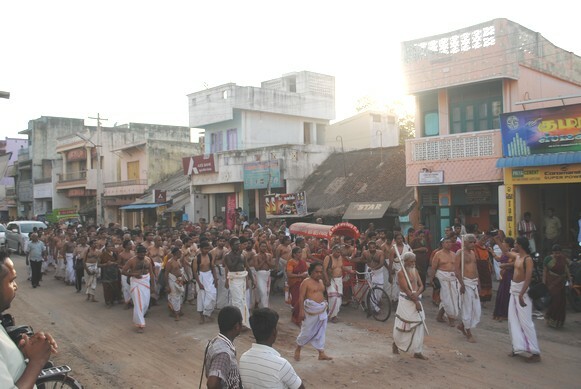 The Semmollanganam was performed by crossing the Kanniyaman Temple on the Northern side of the Kanchipuram Town. 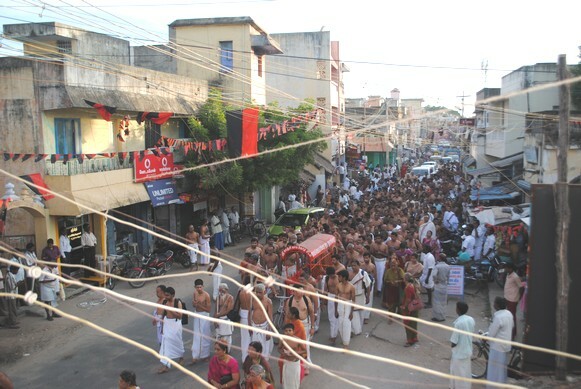 The procession entered the Indra Nagar locality and culminated in the Society Hall there. 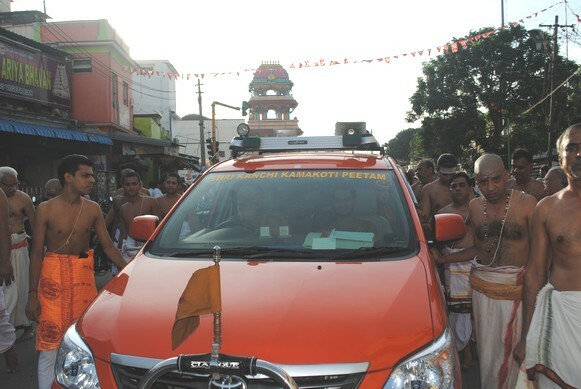 After this, the XI Chapter of Srimad Bhagavad Gita was chanted. 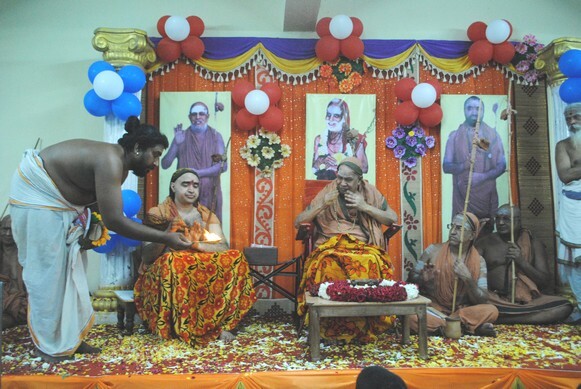 The assembled scholars, students and devotees repeated the verses from the Bhagavad Gita. 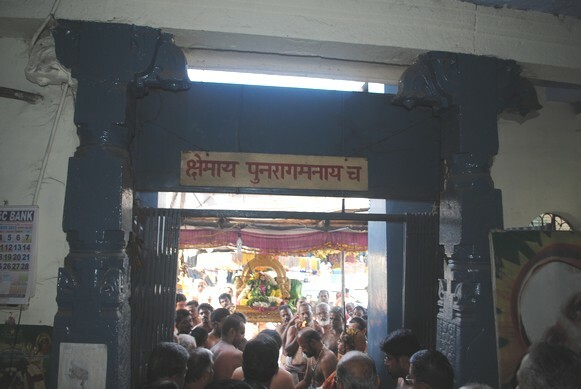 The puja concluded with deepa Aradhana for Lord Krishna. 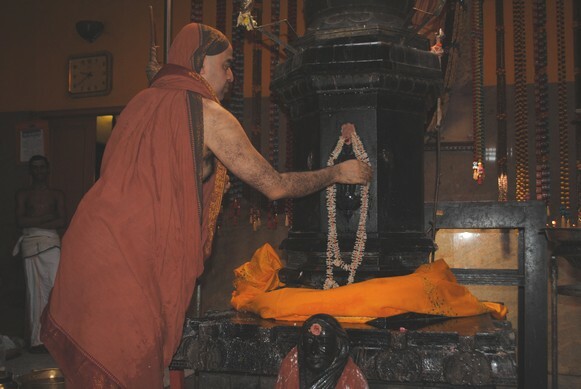 His Holiness Pujyashri Shankara Vijayendra Saraswathi Shankaracharya Swamiji blessed the devotees with Anugraha Bhashanam in which He outlined the significance of Chaturmasya, the importance of today's Viswaroopa Yatra and Seemollanganam-(crossing the border). 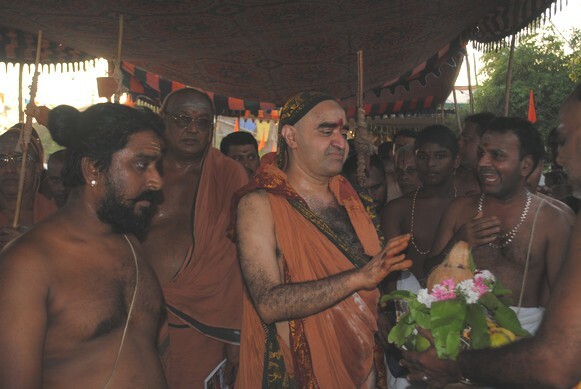 His Holiness said that the Krishna Avatara was not merely about slaying evil, but was significant in giving us the Bhagavad Gita. 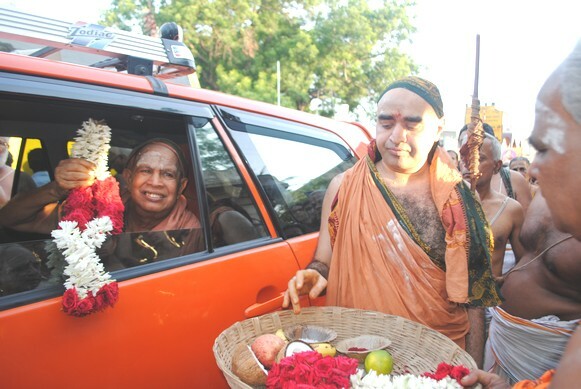 His Holiness mentioned that any activity - whether it is Vedic Chanting, or Japas, or Yagnyas - will be fruitful only if it is done with the Bhakti Bhava, and blessed the devotees to have this Bhakti Bhava in all their deeds. 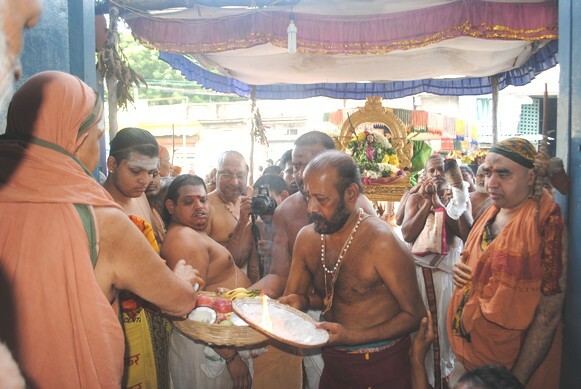 Prasadam was distributed to devotees. 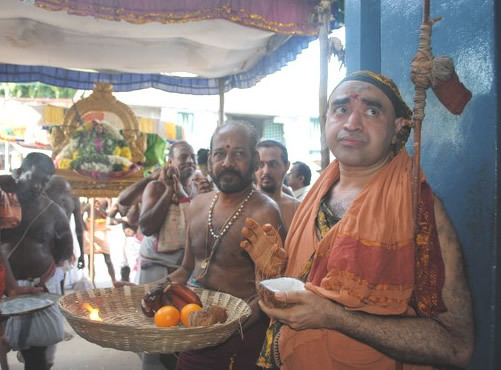 Every year, the Viswaroopa Yatra is performed on the Bhadrapada Poornima day , signifying the conclusion of the Chaturmasya Vratam – that begins with the Vyasa Pooja on the Ashada Poornima day. 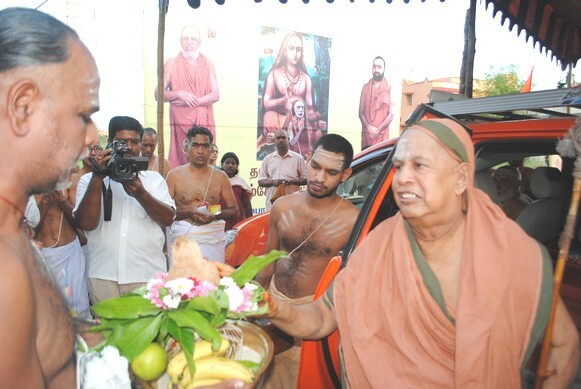 His Holiness releasing the Tamil book "Temples in the Undivided Arcot District"